The new INFINITI QX80 SUV brings opulence to Florence drivers looking to elevate their everyday commute. With enough seating for seven, this expansive and accommodating SUV handles the road with impressive power. The QX80 offers supreme utility features with foldable 2nd and 3rd row seating to configure your ride how you’ll need it. Featuring an amazing 8,500 lbs. of towing capacity as well, this vehicle is ready to take on whatever you’ll need it to. These highlights and more make the QX80 SUV a powerhouse on Newport roads. 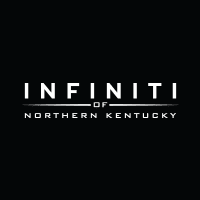 When you’ve reviewed our select inventory of QX80 vehicles that are available, come down to the nearby Lexington dealerships like INFINITI of Northern Kentucky to test one for yourself. We’re here to help enhance your drive and get you in the right INFINITI vehicle for you. Take a look at our incentives before you come in for extra added savings, and feel free to contact us if you have any questions.